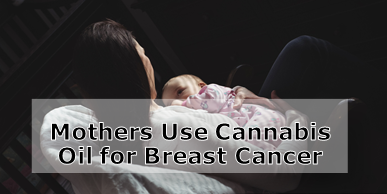 When you listen carefully, you hear how mothers are taking cannabis oil to relieve breast cancer. Some of these mothers are still breast feeding so do not want to take pharmaceuticals or harsh medications that will also harm their babies. Many mothers are simply exhausted when they take chemotherapy so need to find energy and a stronger immune system by taking cannabis oil. In a nutshell, mothers are taking cannabis oil to relieve breast cancer and provide them with a better quality of life. Medical cannabis is being increasingly recognized for its ability to fight chronic diseases from heart conditions and diabetes to multiple sclerosis and cancer. And neurological conditions like Parkinson’s and Alzheimer’s, stress and depression. Cannabidiol (CBD) and tetrahydrocannabinol (THC) are the two main cannabinoids in cannabis that can have a huge health impact on the body and mind. If more people used cannabis oils infused with CBD and THC, there would be fewer people suffering from cancer. We know this and when we hear that mothers are taking cannabis oil for breast cancer, we feel secure in the knowledge that they could get better. Cannabis oil relieves the pain of breast cancer and the pain associated with chemotherapy. CBD combats the symptoms of breast cancer including nausea and vomiting, anorexia nervosa, lack of sleep and anxiety. It is a natural antioxidant and anti-inflammatory. This means its eases the pain of the inflammation of cancer. Inflammation is a sure sign if disease and if this can be treated first, the patient feels more comfortable. Studies reveal that CBD can combat the nerve degeneration and pain caused by chemotherapy. One of the main causes of breast cancer is oxidative stress when free radicals start to go crazy – toxins can then live in that part of the body i.e. cancerous cells. CBD is an antioxidant so can fight this oxidation in the body. When CBD and THC connect to CB1 or CB2 endocannabinoid receptor sites on cancer cells, they can cause increased synthesis of ceramide which leads to cell death. Normal cells are not affected. The source of energy for the cancer to live is extinguished. The ceramide disrupts the digestive system within the cancer cell and impedes nutritional pathways. A cancer patient who takes THC and CBD regularly, over time, can keep metabolic pressure on these cancer cell death pathways. Studies have revealed that THC and CBD interact with CB1 and CB2 cannabinoid receptors on cancer cells which encourages increased ceramide. This forces the cancer cells to commit suicide, or experience programmed cell death, which is essential for the maintenance of normal cellular homeostasis and is an important physiological response to many forms of cellular stress. Cancer is one disease everyone dreads. Cancer kills. Some people do survive cancer and have lived to tell their stories. This is because cancer can be treated. Cancer has many symptoms, depending on where it starts. These all contribute to making the disease very uncomfortable. But there is hope. Cannabis oil can treat cancer symptoms. Research carried out in laboratories also reveals that cannabis oil can reverse the spread of cancer. We recommend combining cannabis oil medication with an alkaline diet, packed with foods rich in iron. Add to this plenty of freshly squeezed fruit and vegetable juices, with alkaline water daily. The cannabis oil will work well with this health fix, boosting the immune system and encouraging a more positive outlook on life as the patient starts to feel better. Today there are more than 100 different types of cancer having a debilitating effect on thousands of people worldwide. One of the most common cancers is breast cancer, especially in the Western world. Too many people stick to the recommended chemotherapy treatments and are too afraid to look into natural therapies like cannabis and cannabis oils. Many mothers are choosing cannabis oil to fight their chemotherapy symptoms and then they realise that the CBD and THC are actually fighting the cancer as well. Always remember to source your cannabis oil from a reliable source and that it is pure and organic. Always consult your doctor before taking cannabis oil for breast cancer to ensure it does not affect other medications.